The Center on Materials and Devices for Information Technology Research (NSF Grant DMR 0120967) operated from 2002 to 2012. This is an informational site to document the program and provide links for continued collaborations. CMDITR’s research mission was to create and use molecular building blocks in the rational design of new devices and subsystems for a broad spectrum of photonic and electronic applications, specifically in the areas of telecommunications, computing, lighting, energy, transportation, medicine and defense. The Center’s work advances the understanding of the electrical and optical properties of novel organic and organic-inorganic hybrid materials, and of the dependence of these properties on the organizational structure of materials. The result of these efforts is the introduction of innovative products into the marketplace to benefit the economy in an environmentally sustainable manner. The Center’s efforts encompass education and diversity enhancement in order to develop a globally prepared workforce capable of maintaining the US at the forefront of these critical technology fields. 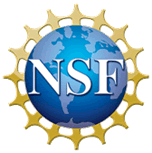 The National Science Foundation established the Science and Technology Center (STC) Program as one of several Executive Initiatives to enhance the nation's economic competitiveness. The program funds interdisciplinary research and education activities and encourages technology transfer and innovative approaches to integrate all these activities. This material is based upon work supported by the STC Program of the National Science Foundation No. DMR 0120967. Any opinions, findings, and conclusions or recommendations expressed in this material are those of the authors and do not necessarily reflect the views of the National Science Foundation.